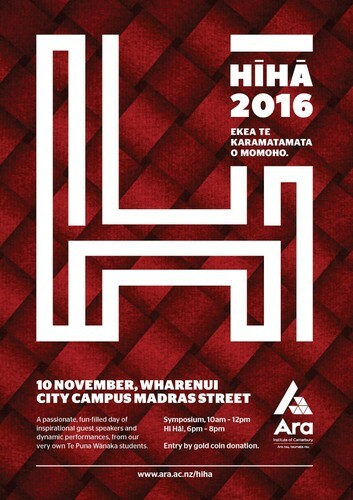 Ara Institute of Canterbury is proud to present Hī Hā! - a passionate, fun-filled day of entertainment and knowledge transfer, composed, produced and performed by our very own Te Puna Wānaka students. Hī Hā! comprises two events; a morning symposium of inspirational guest speakers and a dynamic evening performance of haka, waiata and poetry with Pasifika, Māori and European influences.